Joshua Commanding the Sun to Stand Still by John Martin (1840). Orzhov Enforcer by Matt Stewart. This week fellow CSI writer Bruce Richard and I will be debating the pros and cons of allowing planeswalkers as commanders. We have our own opinions on the matter, but have each agreed to argue one side of the question. We'd like to challenge our readers to not just try to poke holes in our arguments, but also to see if you can figure out where we each really stand. Bruce has chosen to take on the "pro" side and in his column he will be trying to convince you that it's a good or even great idea to allow any planeswalker to be used as your commander. By process of elimination, you can probably figure out that I'll be taking the "con" side of the debate. I might start out by reminding you to never trust a man with two first names. Is it Bruce? Is it Richard? Is my opponent in this debate really Richard Garfield and he's just masquerading as a Commander player and CoolStuffInc.com writer? There is a time for tweaking and there is a time to leave well enough alone. Commander is arguably the single most popular format of Magic being played today. If it isn't the top format, it is certainly among the most popular formats, with an enormous number of players and a significant impact upon the choices being made by Wizards of the Coast when they design and release new sets and products. There is no need to attempt to inject any excitement into the format by making a radical change that would add hundreds of new options for commanders. Such a change is unlikely to increase the community's investment in the format and we aren't likely to get new players as a result. From my perspective, the risk of losing a significant number of players if our format were changed so dramatically might not be high but it sure isn't zero. There are players who would just walk away. If Commander as a format is in the best place it's ever been in, it would be foolhardy to make a permanent change that is as dramatic as when the rules committee decided to temporarily allow silver-bordered cards in December of 2017. When that happened, a lot of players were genuinely angry, and some declared that if the change were permanent they would have left the format. Folks react strongly to big changes, and for some reason they often seem to react negatively. If Commander ain't broke, please don't try to “fix” it. I think the "Unstable Winter" was no big deal, and I could see a "Spark Summer" where planeswalkers are legal wouldn't be the end of the world. I'd even suggest that it would be necessary before making any permanent changes. Just arguing that Commander is in a really healthy place right now so we shouldn't change anything might seem a little lazy and myopic, so let's dig into some more persuasive arguments against having planeswalkers as commanders. You can use any legendary creature not on the ban list as your commander. That's one of the most basic rules about Commander. I'm working from memory here, but I'm pretty sure I've got it right. It's one little rule that has helped to inspire countless Magic players into years and years of amazing adventures, building crazy, fun 100 card decks. The rules are the rules except when the text on a card changes or expands the rules. That's pretty simple too, and again I am “summing up” to a ridiculous extent. Most Magic players grasp that when they are playing the game and a card tells them something that isn't normally allowed by the core structure of Magic, the crazy stuff the new card does will actually work. You have to be able to adapt to new things that cards add to the game. "[This card] can be your commander." That's pretty unambiguous. You already know to look for "Legendary Creature" and you know that the text on a card can override Magic's basic rules. It doesn't take too many brain cells to figure out that these additional Planeswalkers have been developed specifically to be used in Commander and are cards that you can build decks around. There is an implication in the statement that “[this card] can be your commander”, and it is crystal clear. Other Planeswalkers that do not have this extra text cannot be your commander. 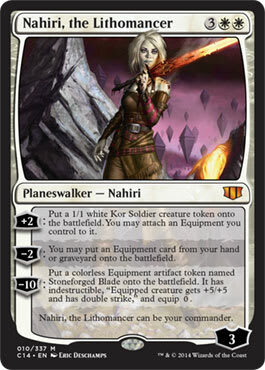 If they could, there wouldn't have been a need to put that text on Nahiri and the other planeswalker commanders. One of the most important things the rules committee has to do as they shape our format is make sure that it isn't overly difficult to understand. Magic is a very, very complex game. We apparently (according to Josh Lee Kwai) have a minor issue with new Commander players not fully understanding how Commander damage works. While I would never suggest that Commander Damage be removed, the last thing we need to do is introduce more confusion - especially for players who are new to the format. Looking for "Legendary Creature" on a card is something players are used to. It's clean and simple and it works. If new players were going to be asked to remember that Planeswalkers are legendary (which they are), even though they don't have the word Legendary on them (which not all of them do), and that means they can now be used as your commander, despite the implication on a bunch of other planeswalkers that they can't be, I think we're adding a lot of unnecessary confusion to the format and making the learning curve steeper than it needs to be. If I were to tell you that the Rules Committee was going to take over 100 Magic cards and make them allowed as your commander, how would you react? What if I were to tell you that almost all of these new Commanders had two or three distinct abilities, some of them have four, and the strongest of these abilities are incredibly strong and are integral to the win condition of some very powerful decks in the format? What if I told you that these new commanders weren't going to be vulnerable to the usual creature-removal spells that Commander players rely very heavily upon? How much time would you expect the Rules Committee to devote to testing out this massive expansion to the format to make sure that all of these new cards wouldn't warp the format dramatically? What if I told you that the Rules Committee probably didn't have the manpower and time to sufficiently test such a radical change, but they were going to do it anyways? The good news, of course, is that as far as I'm aware, the Rules Committee isn't about to make such a change. They aren't taking 100 awesome non-Legendary creatures and promoting them to Commander status and they also aren't taking over 100 Planeswalkers and deciding to allow them to be used as your commander. The telling thing is that the questions I've posed above would clearly apply to such a change, and they pretty much sum up what we'd be faced with if they were to allow all planeswalkers as commanders. On its face it seems like crazy talk. 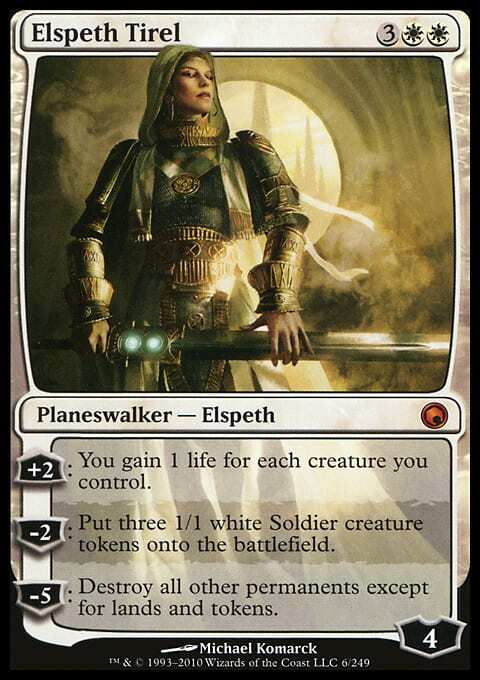 When you look closer and think about actually adding Planeswalkers as commanders, it's definitely enough to give most people pause. It wouldn't be responsible to just say that an idea seems scary and we shouldn't do it without digging into the cards that would most impact our format if they were to be allowed as commanders. As they say - the Devil's in the details. No, we're not talking about Tibalt, the Fiend-Blooded. Would adding over 100 untested commanders to our format actually "break" it? Clearly a lot of them would be fine but the players who like to ruin games wouldn't be playing the weakest and most ineffective planeswalkers available. They'd be trying to shut down tables, close out games and at times ruin the game experience of their opponents. The brightest minds and the biggest Spikes in our community would try to find ways to ruin games with just the right Planeswalker in just the right deck. 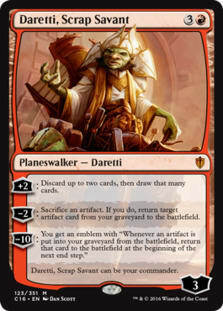 One of the strongest legal commanders in the game - Teferi, Temporal Archmage - already happens to be a planeswalker. Teferi singlehandedly hasn't destroyed our format, but let's look at some of the other headaches we'd be faced with. Would you like a commander who can wipe the board the turn after it enters? Would Wizards of the Coast print a commander who could natively (without extra cards) destroy all permanents except for lands and tokens when it attacked? It would enter the battlefield and on the next turn it would wipe the board. Sounds crazy, right? That's basically what Elspeth Tirel does. She enters the battlefield at 4 loyalty counters, can go up to 6 with her +2 ability and on your next turn you destroy nearly everything. From that point onward, every third turn you can wipe the board if she isn’t removed. Even if she is, you can bet she’ll get re-cast as soon as possible. 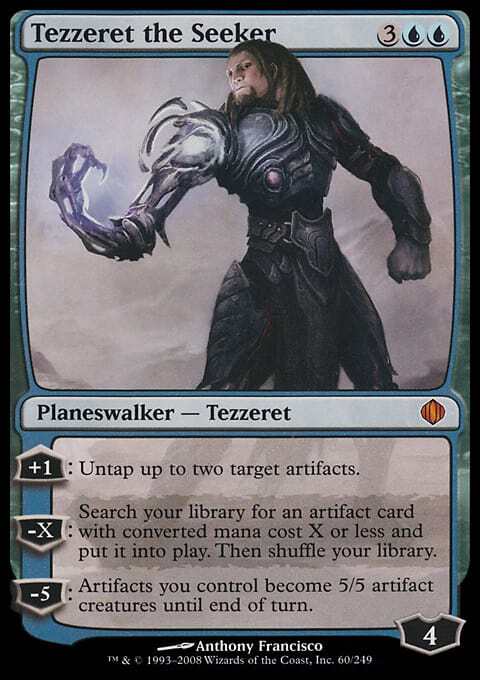 Tezzeret the Seeker enters at 4 loyalty counters and has a -X that will let him tutor for an artifact of CMC X or less. You can go get Isochron Scepter (2CMC) or Aetherflux Reservoir (4CMC) or with one more loyalty counter you can pick up Paradox Engine (5CMC). He would be “Arcum Daggson good” and can't be removed by creature kill spells. 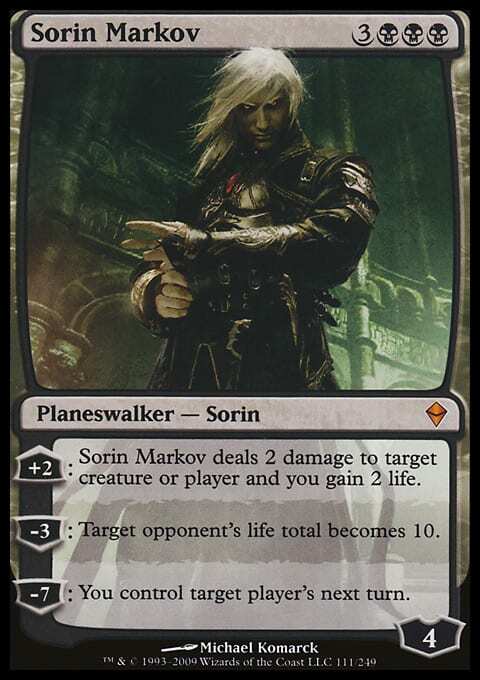 If having to constantly be about to lose to a combo isn't bad enough, consider Sorin Markov. He would enter at 4 loyalty counters and has a -3 that sets an opponent's life total to 10. Add in Rings of Brighthearth for good measure and you'll really be making some people sad. There's nothing less fun than being set to 10 life and being swung at by enough power to kill you when up to that point you had been enjoying a good old fashioned game of "fair" Magic. With Sorin in the command zone, unless you're in Blue, there's nothing you can do. Someone's going to be put to 10 and it's probably going to be you. The reason Planeswalkers aren't overpowered in Commander is that you don't just have access to them any time you like. You have to dig for them, which makes them potentially very powerful but not any more broken than lots of other powerful cards that you also have to dig for. The real issue comes when you make them available out of the command zone. 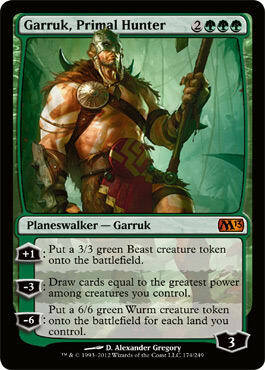 Do you think having a Gaea's Cradle in your command zone sounds fair? If you could build a deck around Xenagos, the Reveler, you could do that on turn three or four in every game you play. What if, for the low cost of thee mana, you got to steal an artifact every other turn? 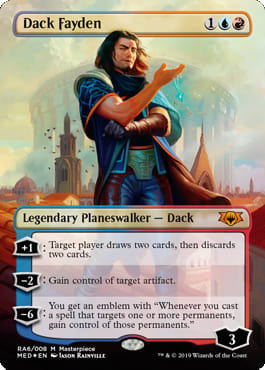 Dack Fayden will be happy to gather up all your friends' Sol Rings, Signets and any other valuable trinket they might be foolish enough to cast. Does the world need more Jaces? 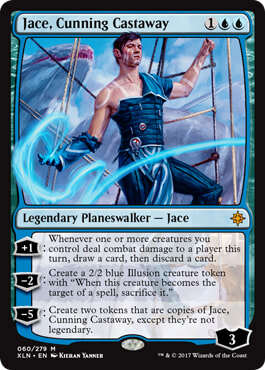 You know we'll see the occasional army of Jace, Cunning Castaway tokens, and I for one am not sure that's a world I want to be playing Commander in. All kidding aside, the real issue comes when you start pairing commanders with their favorite toys. We know how overpowered Teferi can be with The Chain Veil. If we could have any planeswalker in the command zone, we'd have to assume that we would see even more decks built around abusing Doubling Season and Deepglow Skate. When you double the counters on your shiny new planeswalker commander, broken things tend to happen. Sarkhan, Unbroken is pretty much an auto-win if you include Scourge of Valkas in the army of dragons you drop onto the field. 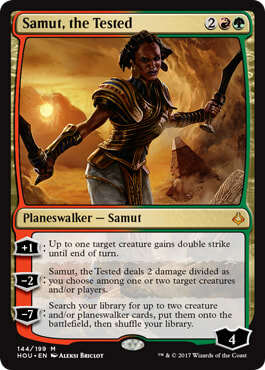 Samut, the Tested can get you Kiki-Jiki, Mirror Breaker and Zealous Conscripts or any of a number of other creatures that win the game right then and there. Tamiyo, Field Researcher might not sound that bad, but if you built your deck right you're going to win with draw spells and tutors that take you into whatever win condition you feel like playing. The fact that there’s no way to deal with emblems is probably an underappreciated argument against planeswalkers as commanders, but the bottom line is that the rules committee would probably have to think about banning Doubling Season, Deepglow Skate and maybe even The Chain Veil. Would the Commander Rules Committee ban three incredibly popular cards and "nerf" multiple deck archetypes in the process just to give us access to something that many of us don't want in the first place? I just don't think so. I think it's safe to say that nearly everyone who plays the format would build one of these new Planeswalker Commander decks. With planeswalkers in the command zone, every player would essentially gain an extra pad of life because opponents would have to dedicate a certain amount of the damage they are dealing to the task of keeping those walkers from getting out of hand. That effective life pad might only be the equivalent of 10 or 12 life points, but if multiple players are running planeswalker commanders we would see a significant increase in the length of games. If the format were to shift toward longer games and effectively higher life totals I think it's reasonable to think that we might see a shift toward combo win cons. Your life total doesn't matter if I win via Laboratory Maniac or drop a Mikaeus, the Unhallowed and Triskelion to close out the game. Lots of us are used to combo, but there are plenty of players who don't appreciate those kinds of shenanigans. They want games to be won and lost on the battlefield, and seeing our format shift even more towards combo would surely drive some players away. If their meta didn't shift to combo, they might get driven away by the never-ending games. Our format already has some of the longest games in Magic, as well as a healthy amount of combo decks. I don't think there's any good argument for making a change in the format that could easily result in more of both. I think it's worth taking a moment to consider how adding planeswalkers would affect competitive EDH. At least, I don't think that the competitive corner of our format would really be affected by such a change, but what I don't know about cEDH would pretty much fill the Grand Canyon, so I could be wrong. I generally assume that a format dominated by instant-speed interaction, minuscule mana curves and games that end before turn five would just keep on doing what they're doing and wouldn't bat an eye at having planeswalkers in the command zone. 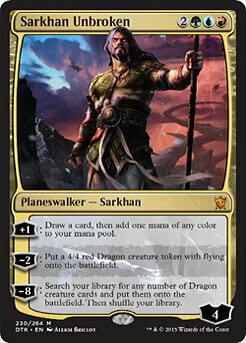 Planeswalkers are generally too slow and generally only activate at sorcery speed. The Food Chain Tazri player doesn't care if you've found a way to ult your Dovin Baan planeswalker on turn seven because they'll have won the game well before you get to that point. Feel free to tell me if I'm wrong in the comments below if you are a cEDH guru and you disagree. I could have explored the "heart" of our format, which in my opinion is a long and storied tradition of playing creatures as commanders and bashing armies together on the battlefield, but my view of Commander may be not shared by you, Bruce Richard, Richard Garfield, Sheldon Menery, Josh Lee Kwai or anyone else. Even if I felt that adding over 100 planeswalkers would be wrong for flavor reasons, we crossed that bridge in 2014 and the world didn't end. That doesn’t mean it would be a good change and I hope I’ve given you a compelling argument against the idea of using Planeswalkers as commanders. If you still want to have any commander as your general, you can just house-rule it and leave the rest of us to play Commander the way it was meant to be played - with Legendary Creatures in the command zone. Have I swayed your own opinion on this issue at all? Do you think I made any good or new arguments in today's column? Do you think you know how I really feel about Planeswalkers as Commanders? If you could run a planeswalker as your commander, which would you run? Would you try to ride Ajani, Mentor of Heroes to a life total well over 100 and use the best death ray ever printed (Aetherflux Reservoir). 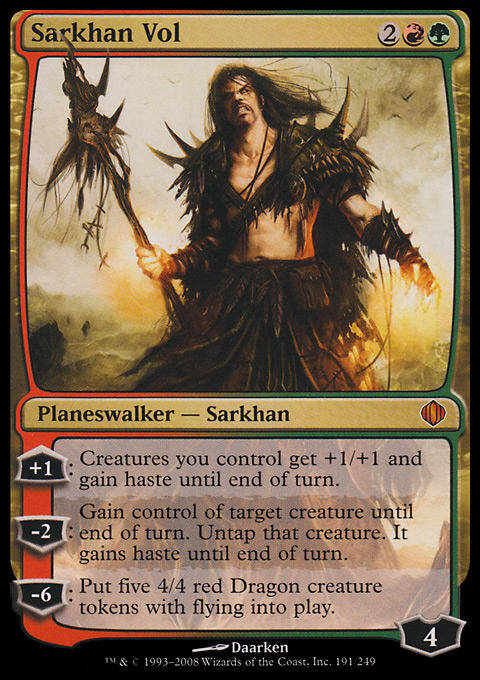 Would you use Sarkhan Vol, or Garruk, Primal Hunter to drop a ton of power onto the battlefield, or would you try to be the first Commander player ever to make Tibalt, the Fiend-Blooded viable? Would you identify the nastiest emblem you can find on a planeswalker and in each game try to get as many of them as possible? Let me know what you think in comments, and as always - thanks for reading and many thanks to Bruce Richard for suggesting this fun "dueling viewpoints" column idea. I’ll leave my own viewpoint on this topic in the comments, so if you still haven’t figured out where I stand, you can just scroll down and find out!